This week a video appeared of a Russian helicopter being downed by Islamic State fighters in Syria. The Kremlin admitted the shoot down and said the aircraft was an old technology MI-24 which is flown by the Syrian air force. Moscow said the aircraft was being piloted by Russian pilots on a training mission in Syria when they decided to attack Islamic State positions as a target of opportunity. “Crew commander Ryafagat Khabibulin made a decision to attack the terrorists,” the state-run Tass news agency quoted the ministry as saying, adding that the pilots had been nominated for military awards. “Owing to the Russian pilots’ correct actions, the terrorists’ attack was thwarted,” reports the Washington Post. Contrary to these published reports, anonymous reports have filtered out of Russia that the downed aircraft was in fact in MI-35 on a combat mission being flown indeed by Russian pilots. 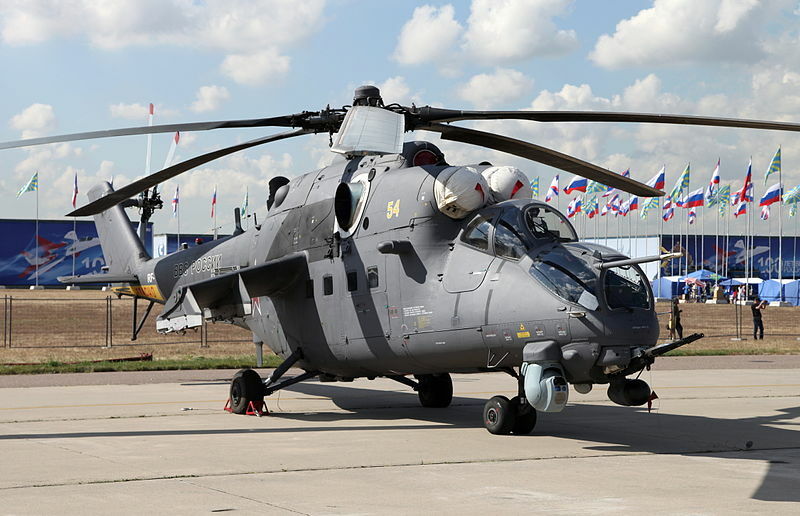 This is one of Russia’s most advanced attack helicopters with advanced avionics and weapons systems. The helicopter was most likely shot down by a MANPAD, shoulder-fired missile. One can speculate as to why Moscow did not want this information released. 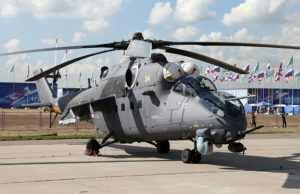 Perhaps they did not want to admit the MI-35 is vulnerable to a MANPAD system. The stated cause of the crash by the Kremlin was that the aircraft was hit by a TOW anti-tank missile. This is almost impossible while the helicopter is in forward flight. Both of the crew members were killed.